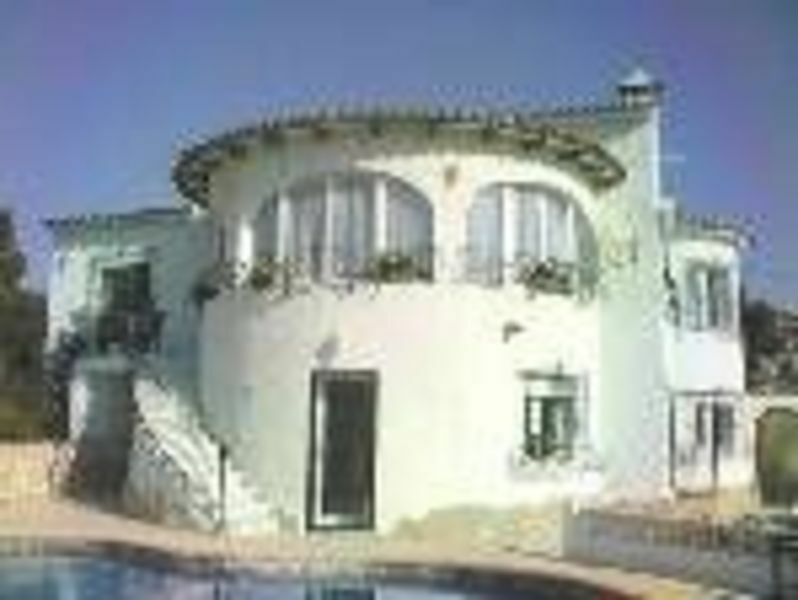 Moraira Villas Apartments Rental Property Near Alicante. With a coastline stretching approximately 8km Moraira has a lot to offer its visitors. It has a variety of sandy beaches and rocky coves. A visit to the Playa del Portet is a must. Situated in a small shell shaped inlet the clear blue sea is a superb setting for a peaceful swim. There are shower facilities and restaurants. From here you can climb to the watch tower of Cap dÓr. This circular tower with a perimeter of 26 metres and a height of 11 metre was the main defense for the port of Moraira against the Berber pirate attacks. At the foot of the 18th century castle in Moraira town is the beach of LÁmplla. It was one of the first in achieving the blue flag distinction for the cleanest shorelines in Europe. With golden sand is the largest beach in the area with an excellent range of facilities for the most discerning beach lover could wish for. Such as games, hammocks, and many bars and restaurants. Moraira started off as a fishing village and although it has grown in size fishermen still go to sea to catch the produce that will be for sale in the fish market later that same day. It is now one of the most important fish auctions on the Costa Blanca. There is a traditional general market in the town every Friday where you can pick up a bargain and at the same time soak up the friendly, lively Spanish atmosphere. There is something different to do everyday of your holiday! !